Home > Casino news > Articles > What Is the Oldest Casino in the World? It takes quite a bit of effort for anyone to run a casino. The oldest casino in the world is one place that has been going along for quite a bit and has managed to outlast many other places that have fallen. But what is the oldest one for certain? It is difficult to try and figure this out because there are plenty of casinos out there that claim to be the oldest in the world. These are intriguing spots but they are all places that have become very appealing to casino players from all parts of the world. These include spots that are in all parts of the world although it might easier to spot them in some regions around Europe. The Casino de Monte Carlo is one place that claims to hold the title of being the oldest casino in the world. This is a casino that was built in 1856 and continues to be one of the most luxurious and elaborate casinos in the world. It was actually commissioned back then by Princess Caroline as a means of keeping her family from losing money. This is a place that has many classic European casino games including roulette, Punto Banco, Chemin de Fer and blackjack. More modern games can be found at the casino with slots and video poker being common features to look for. An opera house is attached here along with the Salle Garnier Concert Hall. One place that certainly has an extremely valid claim to being the oldest casino in the world is the Casino di Venezia. Located along the Grand Canal in Venice, this is a place that was built in 1509 and became a gambling house in 1638. The elaborate and unique architecture of the place is very interesting and luxurious. The ceilings around the area include paintings from Mattia Bortoloni, an iconic Baroque painter. There are many traditional games all around this casino with many elegant tables and scenes all around. The casino is also home to a museum dedicated to Richard Wagner, a composer who visited Venice a number of times in the nineteenth century. Ironically, it is also the place where he suddenly died of a heart attack in 1883. One exotic and beautiful casino for you to check out is the Kurhaus Casino in the southwestern German city of Baden-Baden. It has a great spa resort and many gardens all over. The orchestra site at this casino is especially noteworthy for its many classical music performances that it holds throughout the year. The casino has been around since around the late eighteenth century as the building was constructed. This place especially became prominent in the 1830s after gambling had been banned in France. This prompted many people to come to this casino from France and other nearby countries where gambling was frowned upon. Fyodor Dostoyevsky was especially inspired by this place to write the Gambler, one of his most noteworthy books. It has a number of Greek-inspired statues all around the inside. Many crystal chandeliers illuminate the places around the casino. The medallions around the walls are made with mosaic patterns with an extensive number of pieces all the way around. This all comes with a number of classic casino games for people to play along with. This place offers many roulette tables including some of the highest stakes tables around Germany. The Crockfords Club is in London and dates to 1826. It was designed as a social place for people to gamble at and was especially made with a specific membership list. The Duke of Wellington was especially responsible for getting the guest list organized while ensuring that only the best and highest-class people could come into the casino. The casino continues to operate in the Mayfair region on London. While the casino is a little more open to the public today, it is still a fancy and beautiful place for people to enjoy playing games at. Before becoming the huge entertainment capital that it is today, Las Vegas was a trading post between California and much of the central part of the country. 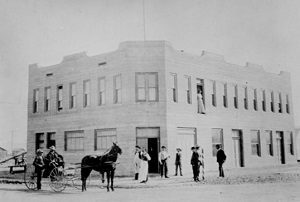 The Golden Gate Casino opened in that town in 1906 as the first casino in the city. The casino continues to operate to this day at the Fremont Street Experience in the Downtown section of the city. The casino was prominent for being rather luxurious. It has spacious rooms for gambling and plenty of hotel rooms on its top floor. The place was especially popular at the time as it was difficult for legal authorities to get access to. While gambling had not been fully legal in the state of Nevada at the time, it was still a prominent place for people to visit as a means of enjoying all sorts of activities in a spot where it is not all that easy for forces to get into. Today the casino still stands and has been renovated extensively. It has especially been prepared with many updates to make it all the more appealing to a variety of players. These are all great places that could hold the claim to being the oldest casino in the world. These are spots that have been around for very long times and continue to be intriguing as spots for people to check out for all sorts of occasions and events. It is fascinating to see just what these places have to offer to all those who want to enjoy great games of all sorts.